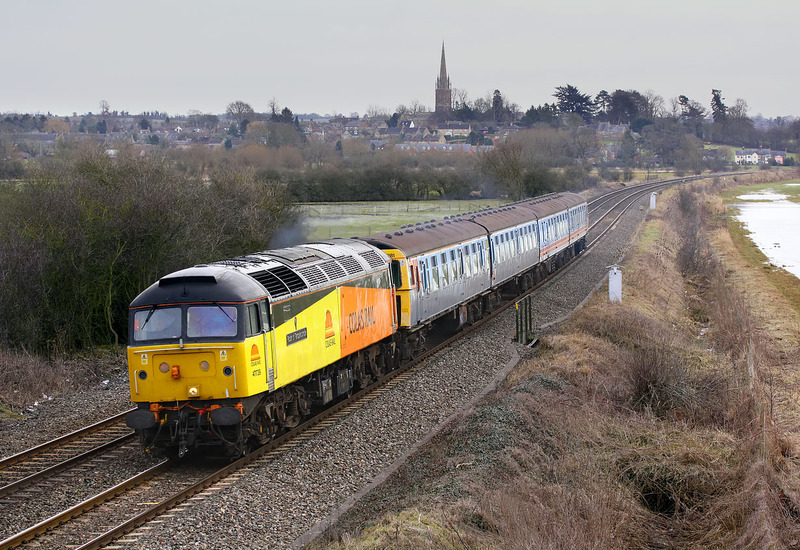 47739 Robin of Templecombe passes Kings Sutton on 3 March 2010 with the 5Z47 10:25 Eastleigh to Barrow Hill stock move conveying withdrawn Class 421 4-CIG EMU 1881. Note that the lower bodyside of the first two coaches have been repainted with grey primer, presumably in order to disguise a graffiti attack. The former Southern Region unit is destined to be broken up for spares for classic EMU restoration. The floods on the right are a normal winter occurrence at this location.